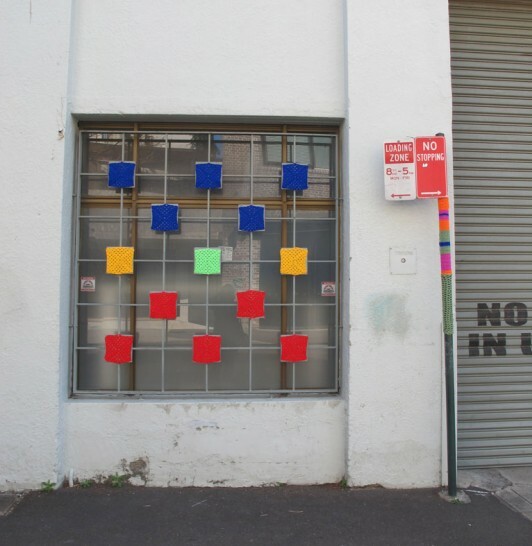 What started as a small individual project – probably more as a personal amusement, grew into an inclusive group public art project culminating in a display of colour at the Beams Festival in Sydney’s Chippendale. 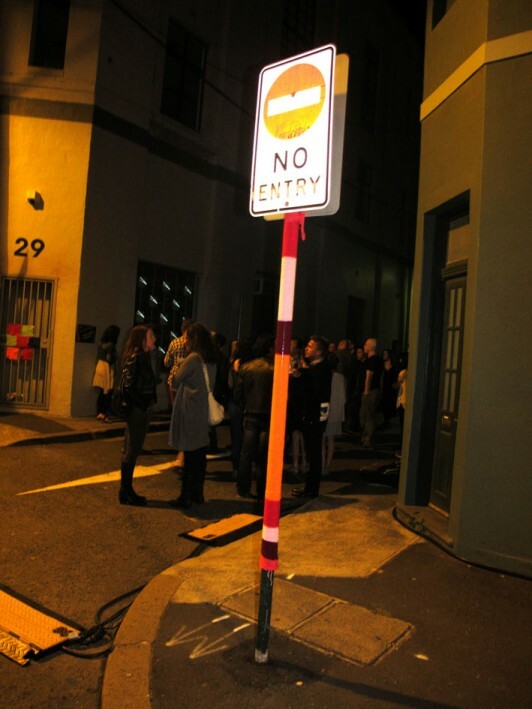 The Festival organised by the Chippendale Creative Precinct brought together fine art, video, performance, music and fine food for a special night under the Sydney spring time evening sky. 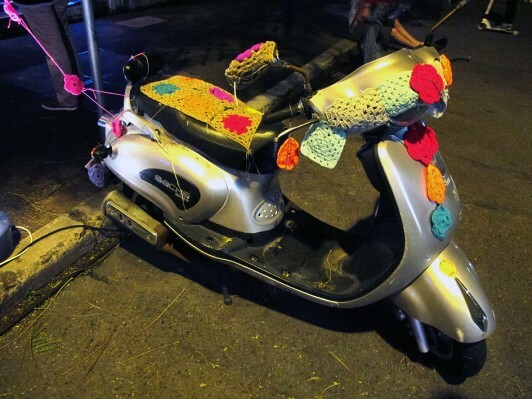 A call out on social media led to a group of about 25 keen knitters and crocheters joining together under my leadership to decorate the festival site with yarn bombing. 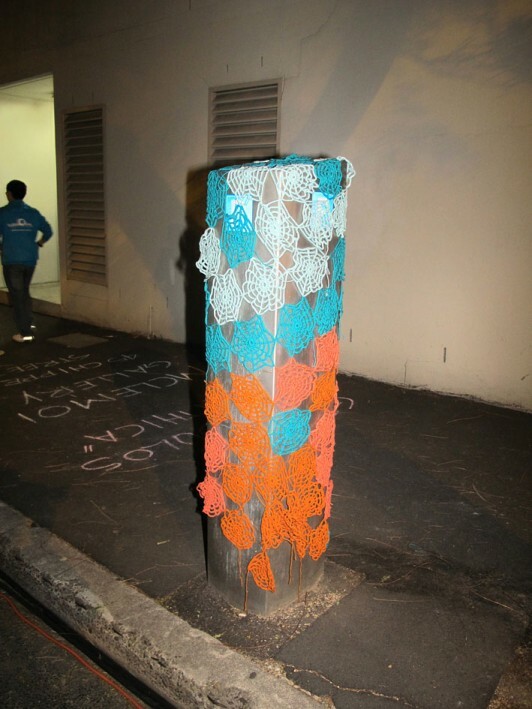 Yarnbombing or guerrilla knitting is a form of graffiti that utilises knitting or crochet pieces to wrap and decorate the streetscape. 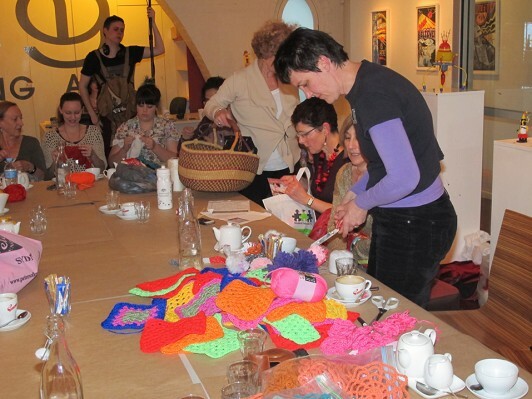 Our group included individuals from all works of life, from grandmothers to students as well members of knitting group, Terrific Tensions and Studio Artes Northside, an arts studio in the disability sector. 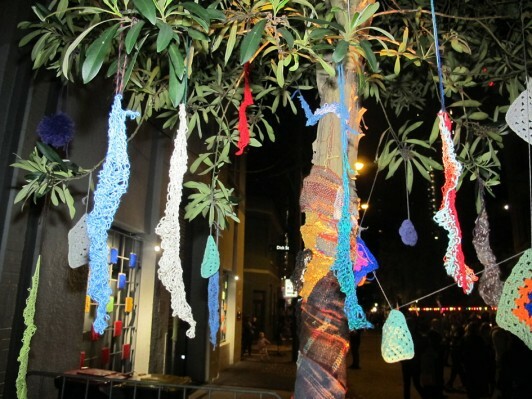 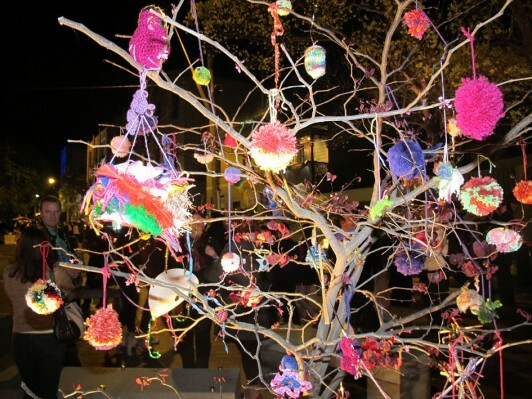 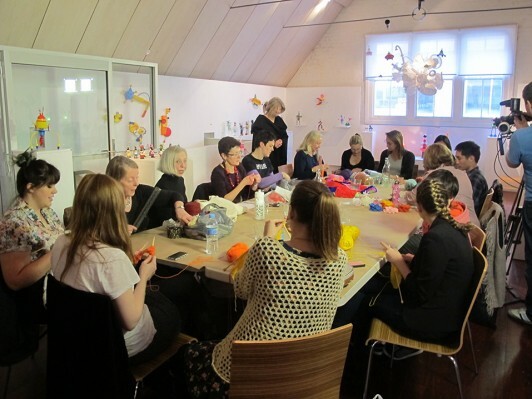 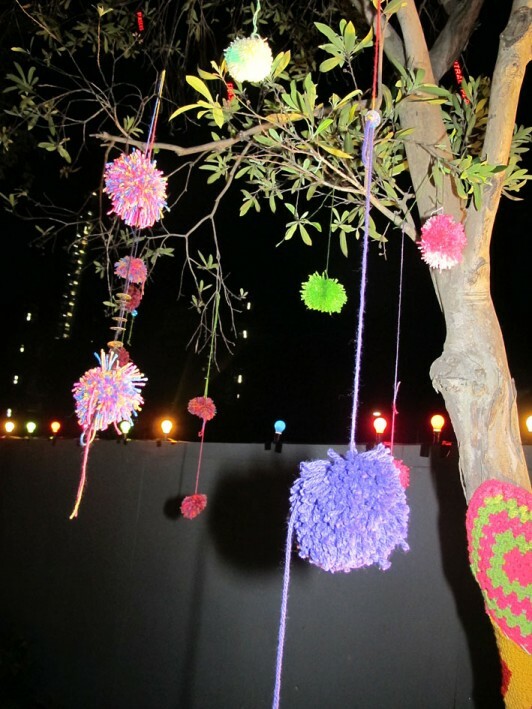 Together the group knitted, crocheted, made pom poms and adapted beautiful pieces of weaving to wrap and decorate the Chippendale street scape with colour.